The new NVIDIA Shield TV was made official at CES 2017 earlier this month and now NVIDIA has started selling their new Shield TV in the US. The NVIDIA Shield TV is now available in the US for $199.99, the device comes with 4K HDR and more. SHIELD – the most advanced streamer – packs the fastest, smoothest 4K HDR video with infinite apps and entertainment including Netflix and Plex Media Server. If that wasn’t enough, SHIELD is the first Android TV streaming box to have the official Amazon Video app in 4K HDR. SHIELD stands alone among media streamers, with the widest range of gaming capabilities and richest assortment of game content. GeForce NOW has been upgraded with Pascal performance, delivering instant gaming satisfaction, with no downloads or patches. NVIDIA GameStream harnesses the power of GeForce graphics cards to cast games from PC to SHIELD, for a big-screen living room experience. And SHIELD is the best way to enjoy premium Android games, including The Witness, which also launched today. 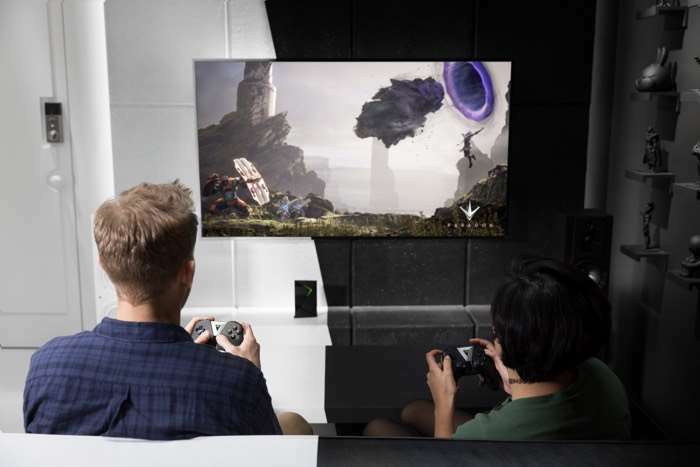 You can find out more details about the new NVIDIA Shield TV over at NVIDIA at the link below, the device is now available to buy.